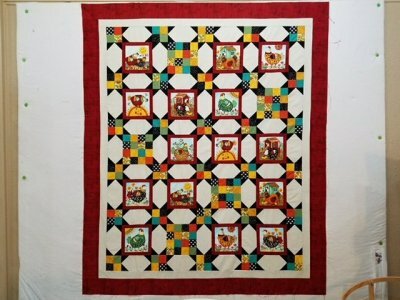 What's New this week at Gone Quiltin'! 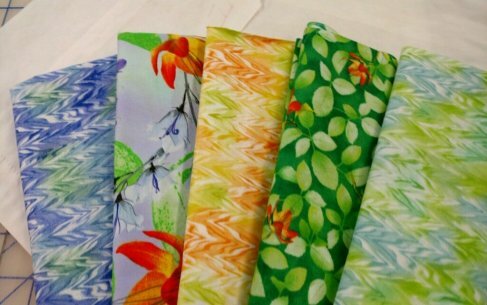 The shop is hopping this week with a bunch of new fabric lines for spring! In fact, we had to rearrange the store just to fit them all in! 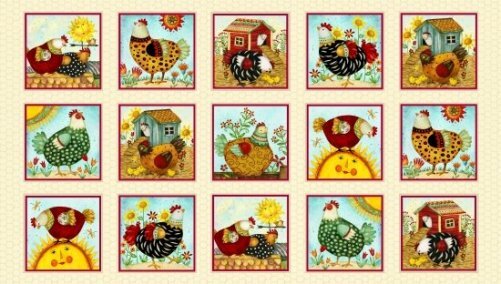 One of our new faves is the Henry Glass collection called All Cooped Up - a wonderful, whimsical panel of chickens and sunflowers and the coordinating fabrics. Aren't these chickens darling? 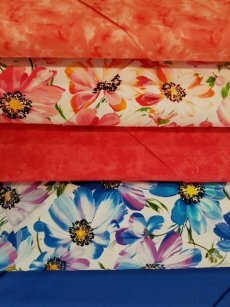 Some of the other spring goodies that have arrived are these lovely florals from Hoffman and Quilted Treasures. Bright, vivid colors seem to be the latest trend in fabrics this year and these two lines are breathtaking in their colors. Oh and by the way, make sure you put April 12-14 in your phone calendars for the 20th Bluebonnet Shop Hop! This year we are celebrating our 20th anniversary with lots of demos, lots of fun and plenty of giveaways. You definitely do not want to miss this year! We are going to make it the best ever for you and all of our lovely customers! Finally, we were tickled to learn that our very own batiks showed up on stage recently. 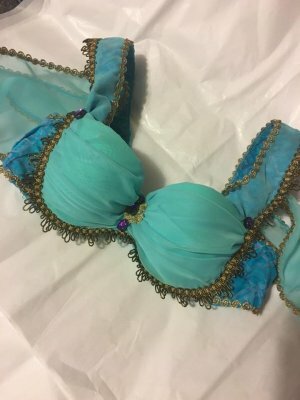 One of our customers is a costume designer and she sent us pictures of costumes she made for a production of Aladdin. Check out this top and the batiks used for the sides and straps! Great work Staci! Hope to see all of ya'll in the shop real soon! Keep on quiltin'!